Our partnership would allow Oxfordshire’s most talented players to ‘naturally’, rather than through ‘compulsion’ have the opportunity to work with and down at Sussex. Sussex would deliver their coaching and support locally in Oxfordshire. 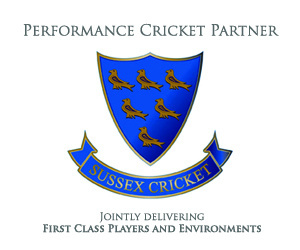 - Sussex support to our Emerging Players Program, allowing the development of another partnership with MCS School. - Availability of Will Beer (professional player) to Oxfordshire Minor Counties Championship Squad in 2015 - supporting a Championship winning side along with a number of Oxfordshire youth squad members. - Harrison Ward’s 2-year academy contract on the Sussex Academy, with the vast majority of support and training given in Oxfordshire on his doorstep. The next steps for the partnership will be to work closely on developing our commercial partnerships, community cricket projects and continue to develop our strong player pathway joint-working. Sussex County Cricket Club are delighted to announce a new partnership with the Oxfordshire Cricket Board. This ground-breaking partnership will see Sussex Cricket’s coaching staff working with Oxfordshire’s players, building on both parties’ proven track record in creating professional players by using growth mindset coaching, which in particular fulfils the Oxfordshire “from playground to test cricket” pathway. Oxfordshire will keep their players until at least 16 years of age, whilst there is also potential for dual-registration for professional players, which would see some of Sussex’s players representing Oxfordshire in Minor Counties cricket.